This lightweight, velvety, oil-free miracle makes skin look better instantly AND over time. 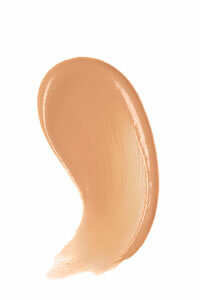 And did we mention this BB cream has light-diffusing spheres that make you look professionally retouched? You’ll definitely look better Naked! Optical blurring pigments instantly even out skin tone and minimize pores, lines, wrinkles and redness. SPF 20 shields skin from sun damage and Pepha®–Protect helps guard skin cells against daily stress. Vitasource™ and dGlyage® firm skin, improve elasticity and provide measurable anti-aging benefits. 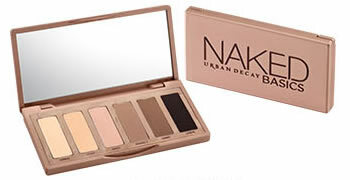 Extremely blendable formula creates a smooth finish so makeup goes on beautifully and stays put. Moisturizing but never greasy, Naked Skin Beauty Balm hydrates skin instantly and improves hydration over time. and provide serious anti-aging benefits in just 8 weeks. Many beauty balms provide a lot of empty promises (and not much else) – but not Naked Skin Beauty Balm. The results of our clinical study speak for themselves. of participants' COMPLEXION looked significantly improved. of participants' skin looked LIFTED. of participants' skin HYDRATION improved significantly. of participants had significantly FIRMER, more LIFTED skin. had significantly more RADIANT skin. had significantly SMOOTHER and more HYDRATED skin. Go ahead, get Naked...and FLUSHED...with our super silky bronzer, highlighter and blush. Our first MATTE palette features 6 Nakedly MATTE neutrals to build on or wear alone.